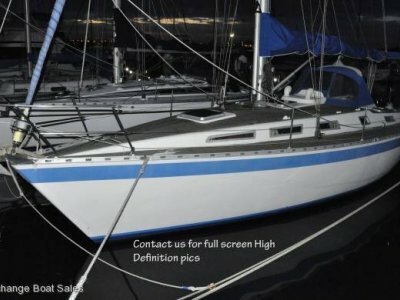 Because the Catalina 36 MK II is easily handled by a couple, has a big comfortable cockpit, a spacious interior with two private cabins and the integrity to pursue cruising dreams, many experienced sailors consider the Catalina 36 the perfect boat for their sailing lifestyle. It is worth a visit to this Catalina, inspect her thoroughly and discover why the 36 has become so well respected. MIZAN presents a yacht well suited to offshore sailing, she has a very comfortable spacious interior which looks open light and airy, with double cabin configuration and a good sized shower/head, very comfortable to cruise for extended distances. It has a very good tender for extended travelling. 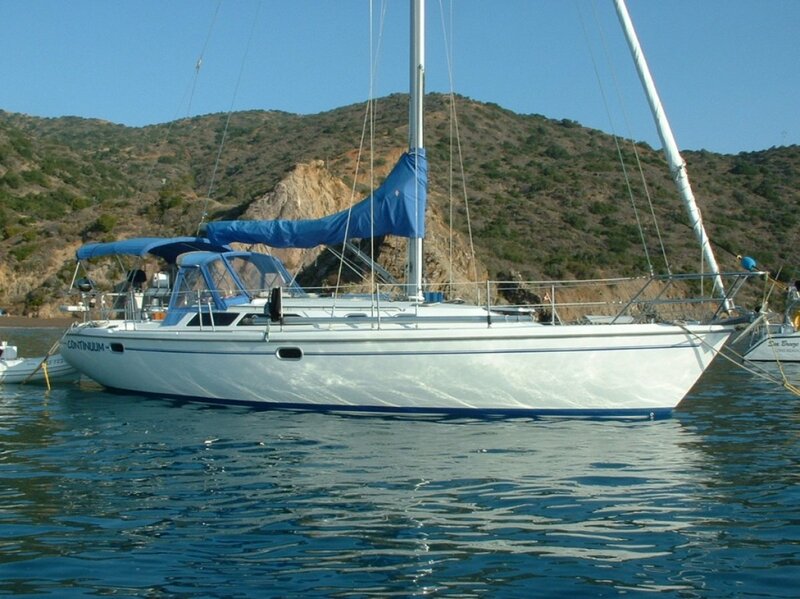 MIZAN is a standard double cabin Catalina 36 MKII. The vessel is in very good condition for her age. The hull deck and framing are all in structural sound condition. Model M35B 30 HP Overall the engine looks in good clean condition, it ran smoothly with no evidence of smoke in normal conditions of use. There is accomodation on board for seven people. There is a v-double berth cabin, starboard aft double cabin and two setee berths. The port setee combines with a drop down table to make a double berth. The saloon area is made up of an L- shape setee. All of the material covers look in good condition. The Galley is U-Shaped located on the port side and is fitted with a fridge, icebox, gas stove and and a double stainless sink. A 12V compressor is used to cool the icebox. A new asymetric MPS spinnaker in a sock. 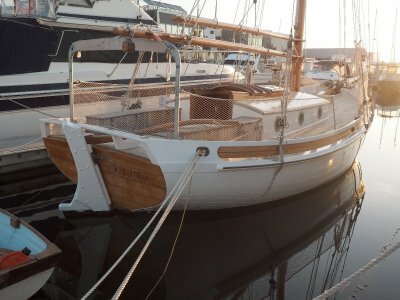 Mainsail and Genoa are in very good condition. 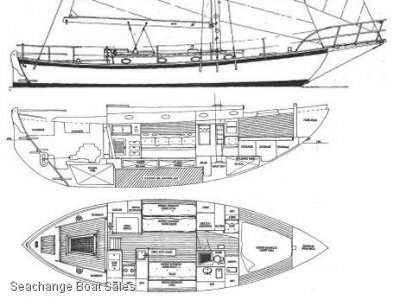 Teak interior, saloon + two cabins, 4 (+3) berths, headroom: approx. 1.96 m.
The galley is a functional U-shape with composite countertops; the sinks are near centerline for proper drainage underway. A two burner gimbaled stainless steel gas stove with oven, A large refrigerated ice box is aft and a dry food locker is forward. Two gas lockers. 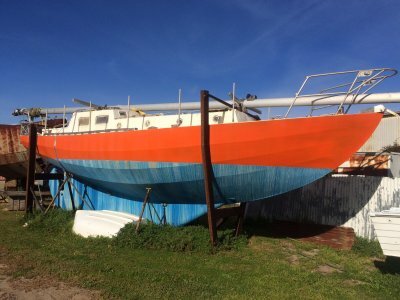 This boat represents very good value for the asking price, in well maintained and servicable condition, ready to use and race or cruise.